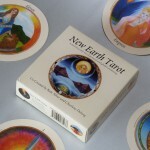 First edition: New Earth Tarot Deck. Limited number. Box signed by Kate Silver. I will be joining other local writers at the West Sonoma Book Faire. Nov 10, 2016. 6-9pm at the Sebastopol Grange, Hwy 12. I will be signing and selling books and box sets. 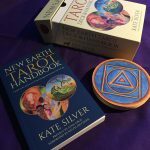 Thank you to Elyse of Wild Moon Tarot for such a thoughtful review. 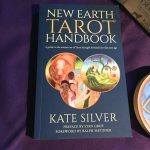 Thank you Elyse of Wild Moon Tarot for a great video introduction to New Earth Tarot. Friday, November 6 at 7:00pm Charlene will be speaking at New Renaissance Bookshop in Portland, OR. 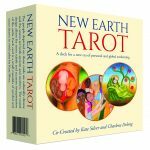 The title of the talk is "Healing with the Archetypes: A Ritual for Achieving Optimum Health" On Saturday, November 7 from 10:30am-3:30pm Charlene will be doing readings at New Renaissance Bookshop in Portland, OR.